Over the years I've gotten several requests for Chaga. Some for the excellent tea, but mostly the requests come from folks who have or have loved ones who've been diagnosed with cancer. I don't charge for it, just send it hoping that it helps those who need it. I cannot attest to whether or not Chaga has the ability to help in the fight against cancer. More and more information hits the web about chaga all the time, and in many countries its healing properties are heavily touted and apparently widely and well known. Sometimes I hear back from folks that I've shipped chaga to, and most of the time it's positive news which is great. Sometimes it's not good news and I share some pain with someone I've never met in person. Having a few new requests for chaga to fill I set out with a couple hours to bend to the cause. It was awful hot, well for us it was. It got into the mid to upper 80s. For us that's pretty dang hot. My favorite foraging gear for chaga hunting is a basket pack. In this case I also hang two waxed canvas bags to the outer belt. One of them I use to collect staghorn sumac, and the other I use for miscellaneous findings. Today I used it for wild flowers. In the basket I tossed a water bottle, a couple containers to collect berries in as it is raspberry season, and a berry identification book. With camera in one hand and a Wetterlings in the other I set out. 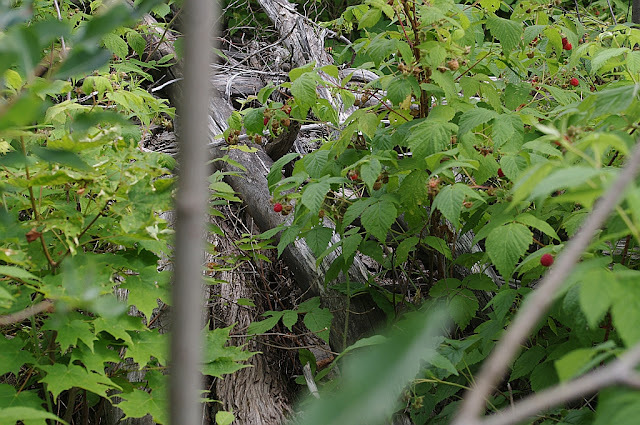 I'd decided to do some berry collecting on the way to my Chaga hunting grounds. 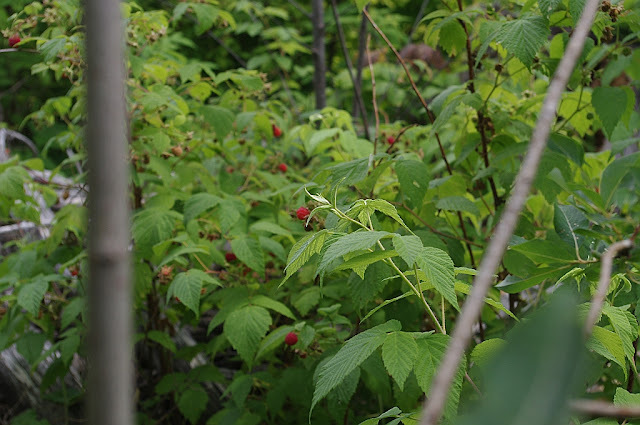 Our red raspberries are in the height of their season. I swear I think I could pick for days on end and never get past a couple patches. They are thick here and we routinely pick several gallons of them each summer. My favorite won't be in for another week or two though, Thimbleberry. Nothing quite like them and they are due in short order. 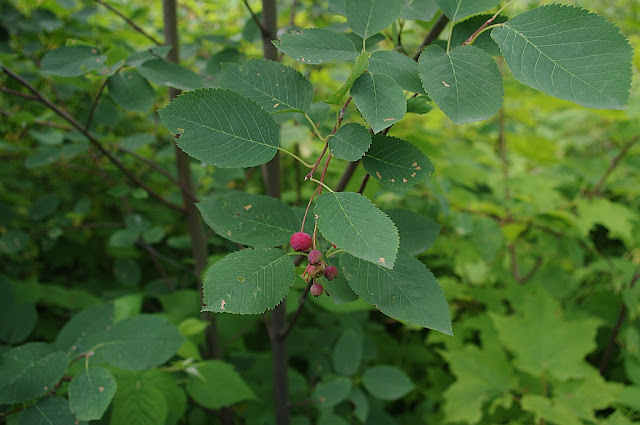 I did find a Saskatoon Serviceberry tree as well. I wish I could find more of them, they are quite good, just not enough of them. They're in some thick stuff, I'm wondering if I cleared out around them if the trees would take off and produce more? 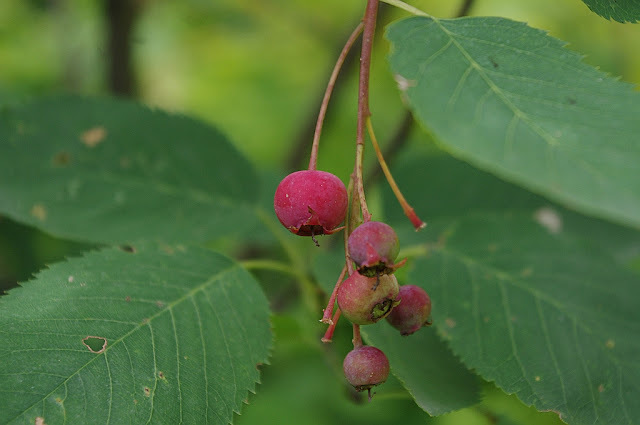 Anyone know if Saskatoon Serviceberry trees can be domesticaed/cultivated? I'm thinking of transplanting some of them closer to the house, don't know if it would work or not. Any suggestions? 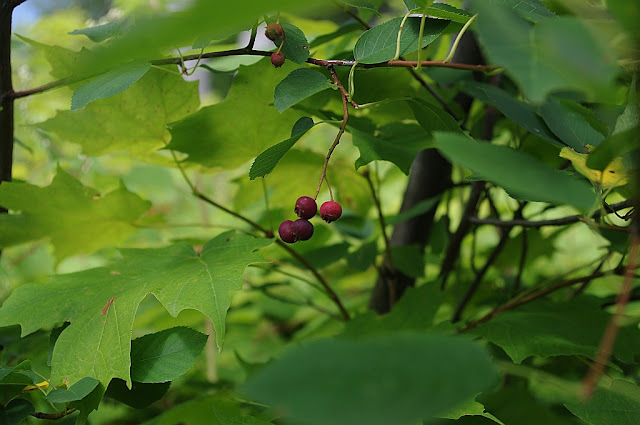 The below images are of Red Baneberry, every part of which is toxic to a more or lesser degree. Rare that anyone is poisoned by it though, as the berries are extremely bitter. The resin from the leaves though, will cause skin irritation and rashes. There's a piece of the property that is heavy with old growth Birch, shaded with more than a couple creeks. Beaver ponds and runs to the east of it, pine barrens to the west. Open maples and aspens to the north. This is where I find most of my chaga, and today was no exception. Today's haul was around seven and a half pounds and should take care of the folks who are currently waiting on their chaga requests. On the way out I grabbed some wildflowers for the wife, and a couple weeks supply of staghorn sumac for some of my favorite Bush Tea. All in, not a bad couple hours. For those waiting on chaga it ships on Friday, I hope it serves you well. 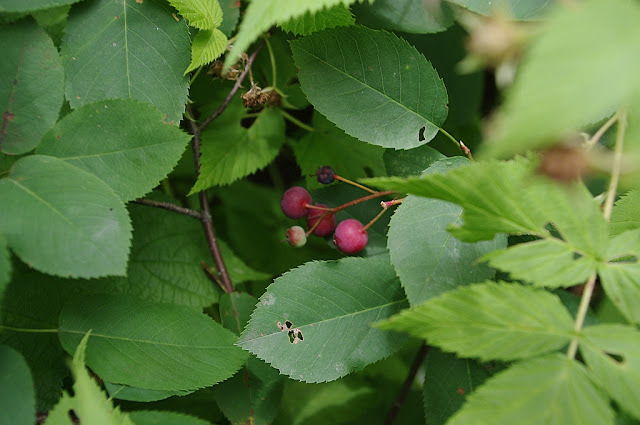 As far as the Saskatoon serviceberry goes, I do think you can dometicate/reproduce them. Over at BCUK I had a conversation about this one (and/or similar berries) and someone else from the US chimed in, stating that it is possible. Maybe you could seek him out. He goes by the nickname British Red. Knows an awefull lot about homegrowing foods and will be more than happy to help you, I'm sure. You're a good man for sending chaga to those folks! Thanks for showing your haul of wild consumables. Makes me eager to get out there again soon and do the same!